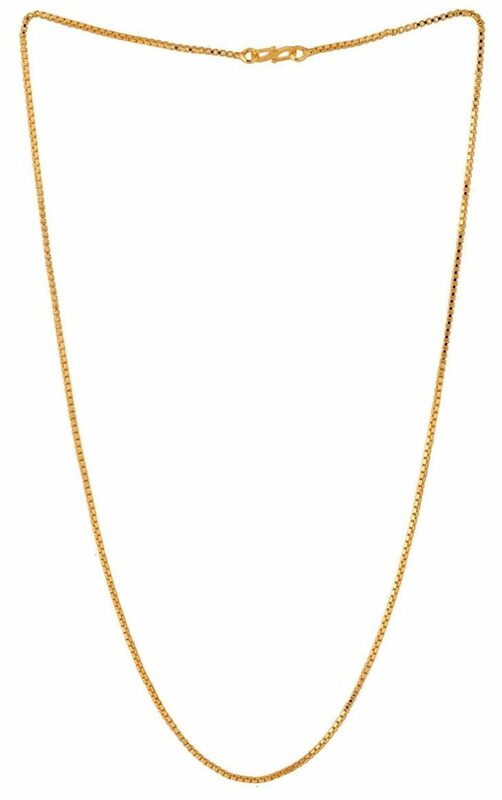 Make your look bold by adorning this classy golden chain for men from the house of . Crafted from brass;this jewel piece is durable and also light in weight. Pair this piece in the daily basis for a smart look. This piece of jewelry comes with the assurance of quality and durability. Caring for your fashion jewelry: We take care of every piece of jewelry so that you don't spend hours caring for them. But do remember;fashion jewelry lasts longer when kept dry and free of chemicals. Follow this simple rule: Your jewelry should be the last thing you put on and the first thing you take off.